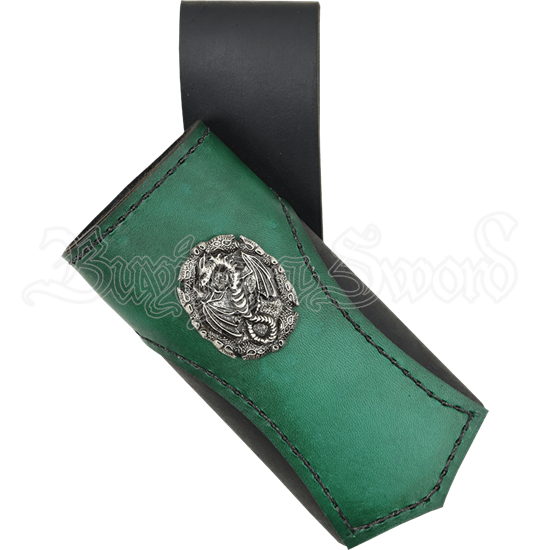 Carry your LARP weapon securely at your side with our Dragon King Sword Frog. This handmade leather frog is ideal for LARP swords, daggers, and axes. A dragon concho in your choice of steel or antique brass accents the front panel. 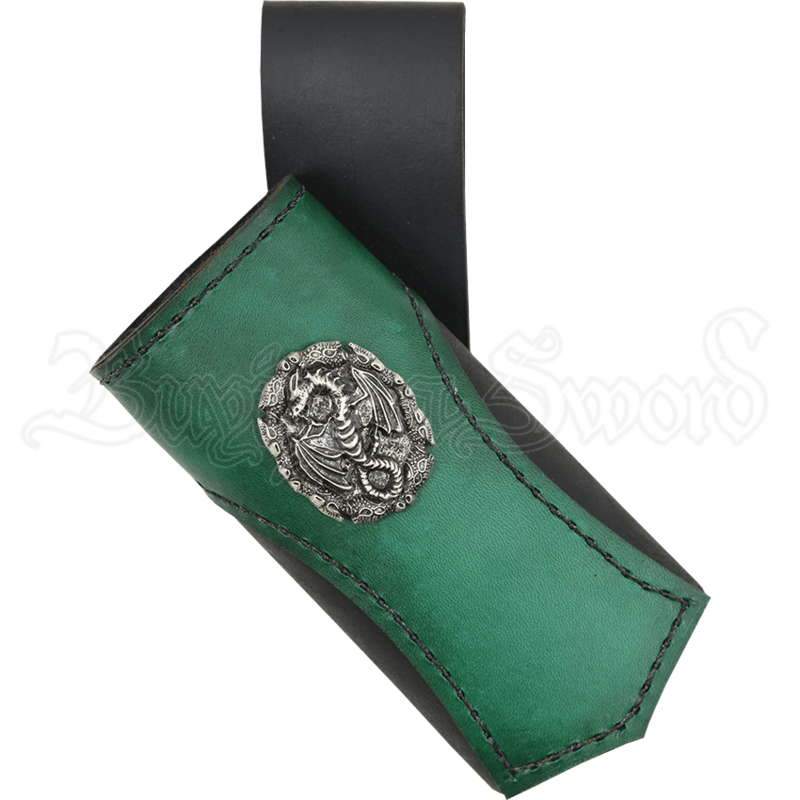 The body of this leather sword holder is made of 5/6 ounce leather, which is both sturdy and soft to the touch. It is available in your choice of black or brown. The accent panel is securely sewn on, and it is made of 3/4 ounce vegetable tanned leather available in a wide variety of colors. A loop on the back makes it easy to wear on most belts up to 3 inches in width. Take to the battle feeling as mighty as a dragon when you equip this tube-shaped sword frog.